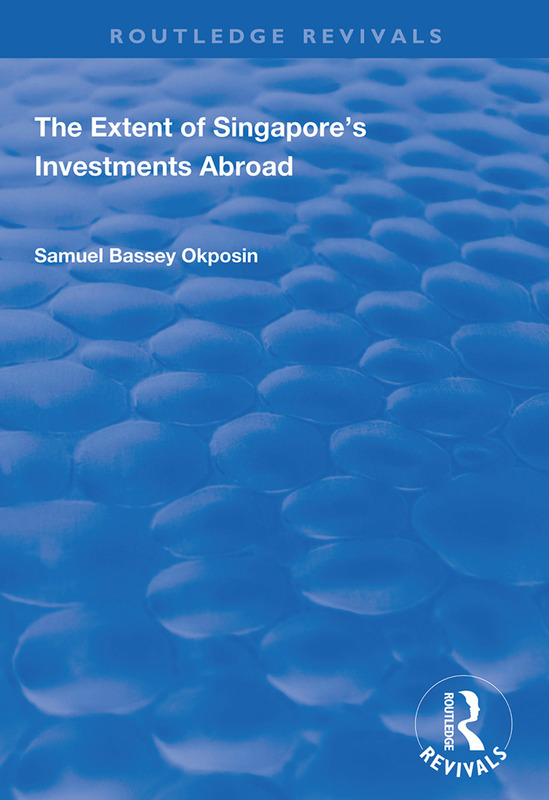 First published in 1999, this volume explores extreme openness of the Singaporean economy to international trade through the role of Foreign Direct Investment in Singapore and Singapore’s investments abroad. It provides much valuable insight to how changes in the economic and policy environments impacted on the individual Singapore-based firms and their decision making processes. The book is particularly strong in the manner in which the firm level material is linked to the overall outflow of capital, the macro-level conditions and the established theoretical explanations for the export of capital. Samuel Bassey Okposin has four aims: to examine the causes of direct investment in Singapore’s economy, to investigate the motivation for Singapore firms to invest abroad, to explain overseas direct investment from Singapore and to examine Singapore’s overseas direct investment strategies, strengths and weaknesses, considering if the current trend of outward direct investment will continue into the new millennium.